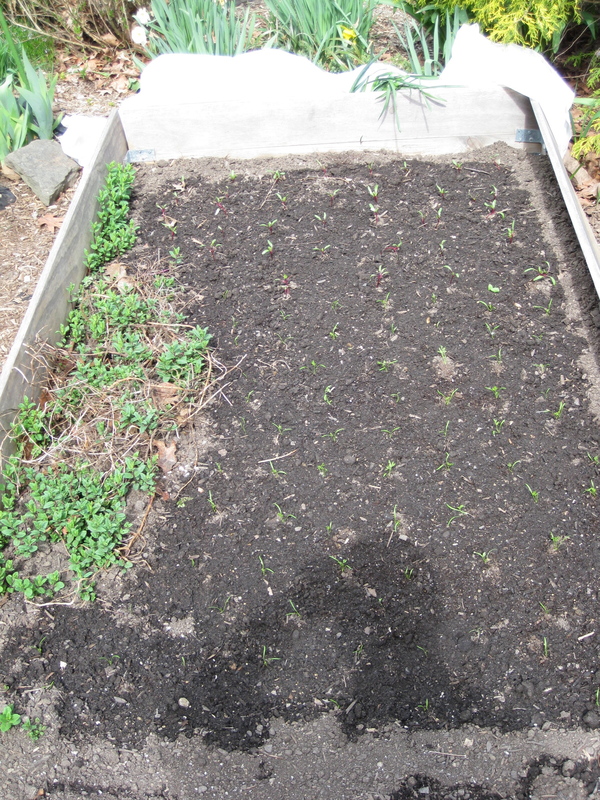 went in the ground over the weekend: lettuce, spinach and peas in one bed, beets and carrots in the other. Some oregano made it through the winter in the 1st bed and a bit of mint survived in the 2nd. I say “a bit” … it took over half the bed and that’s what’s left after I harvested some and pulled the rest to the side. 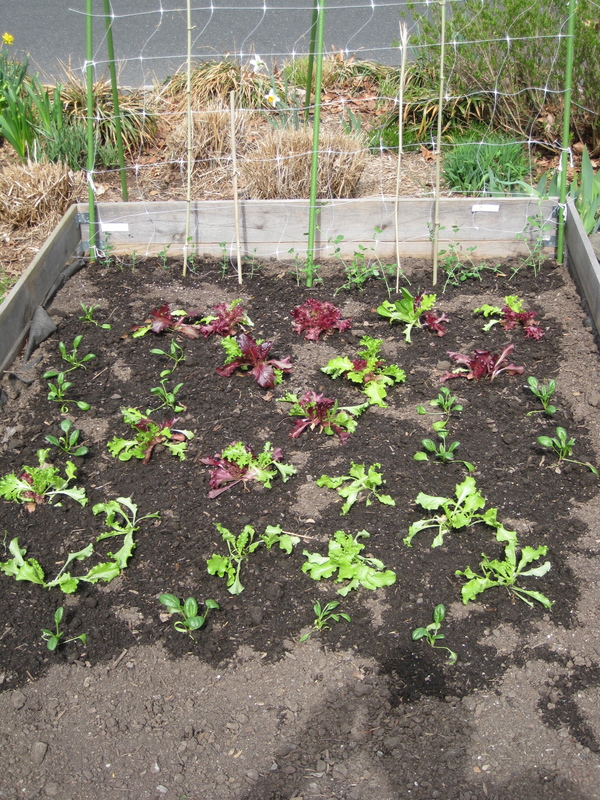 Sadly, my kale seedlings didn’t make it to the beds. Our cat took a liking to them and ate / rubbed her face against them until they were no more. Starting seeds for Round 2 tonight: tomatoes, beans, peppers, melons and some herbs. Ha. Baby kale must share some qualities of catnip. It’s fairly pungent, even as a seedling. Mint is invasive. My mom let it take over half our front yard when I was growing up in Texas. So I’m keeping an eye on it. It’s a wonderful thing to smell working out in the garden, I can’t get rid of it.